Over the past year, we’ve immersed ourselves in 1:1 video for sales and learned not only the things that work, but the things that can hold you back from being successful. 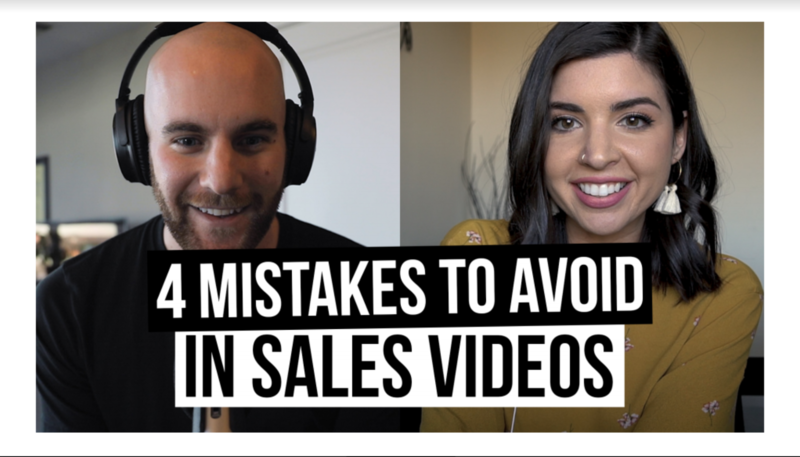 In this episode of our brand-new podcast, Film School for Marketers, Zach and I dive into the four most common mistakes people make, and how to avoid them. First Things First, What is Film School for Marketers? Zach Basner and I are thrilled to be kicking off a weekly podcast series for marketing and sales professionals looking to master video. Zach is IMPACT's Director of Video Training & Strategy. He helps organizations improve their sales and marketing by teaching them how to create high-quality video content in-house and empowers them by developing professional production and on-screen techniques. I am IMPACT's Manager of Demand Generation. I work closely with our marketing and sales teams to help drive leads for the organization. I am also the first person that our prospects connect with during the sales process. In addition to lead generation efforts, I've dedicated time in my role towards building out how video is used in our sales process. What can you expect to learn through the Film School For Marketers podcast? Each week, we plan to share insights on content, strategy, production, video culture, 1:1 video, sales adoption and much more. You can expect to walk away with ways you can use video to generate more traffic, leads and sales for your organization. Now, onto our first topic! What is a 1:1 Video? 1:1 videos are video messages you create on your webcam, that aren’t overly produced, and used for one person. You can create 1:1 videos through downloading programs like Vidyard or Wistia that allow you to record right through a browser extension. You might think that leading with how great and powerful your product or service is, is the only way that’ll you’ll get someone’s attention, but the best way to stand out is to show off your expertise by asking questions, providing resources and by building trust through value. The worst thing you can do in a video is get your prospect excited and provide no clear next step. A call-to-action in your video is the next step you want your prospect to take whether it’s reviewing a video playlist about your services, booking a meeting with you, or signing an SOW. It doesn't matter how great your video looks or how many views it gets if the next steps are not clear. Your video should be as long (or as short) as it needs to be to get your point across. The best way to check if your videos are the right length is to rewatch recordings to see if you’re repeating yourself, getting off topic, or using filler words.